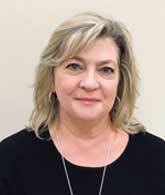 FVCbank, a community bank with eleven offices in the DC metro area, announces the addition of Linda Long as Senior Vice President, Commercial Lender to their team in Ashburn, VA. Having been in banking for over 30 years, Long brings extensive experience and knowledge to FVCbank. Long, most recently with Fulton Bank, started her career in Accounting at Ernst & Young, where she attained her CPA certification. With two adult children, Linda now occupies her time doing crossword and jigsaw puzzles, cooking, baking, connecting with friends, and spending time with her dog and cats. Long is a proven relationship manager who believes that client satisfaction, timely response, and engagement of all available team resources are key to a positive banking relationship. She is excited to join the FVCbank team and make a positive impact.